Another week, another new artist. Not that we’re complaining, far from it! GaZelle is our newest artist on the site. Check out the full bio here and visit their MySpace profile here. We’ve also recieved a copy of their album CHic AFrique (thanks!) which we will be reviewing soon. In the mean time listen to two of my favourite tracks off the album. 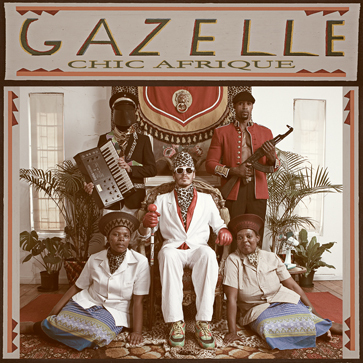 Gazelle - Chic Afrique – The reggae roots and dubby influences are evident in this track. Pure Class! Gazelle… really vibey tunez. Love the “she did me” track!